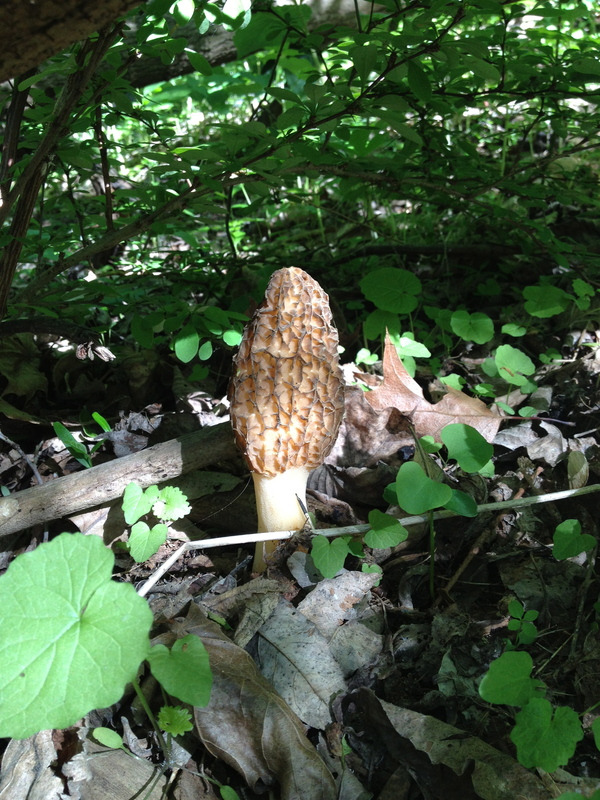 Hunting morels is often a fruitless endeavor. For every picture I’ve posted, there are probably two or three fruitless forays, at least. But the hunt gets a bit easier toward the end of the season, when the mushrooms are bigger. Much bigger. On Friday afternoon, I shut down my work computer and bolted into the woods. It was a nice evening, and conditions were promising – we’d had some decent rain, and warm temperatures, and it was getting late in the season. I knew that if they were out there, I’d spot them, and I was right. For a few moments, it was easy. The late season leviathans towered (for morels) four, five and six inches above the forest floor, and they were illuminated like Chinese lanterns by the slanting afternoon sun. These giants are thrilling to spot, and I was in a productive area of the forest. I filled my bag half-full. I did leave a few behind, to help ensure the propagation of the mycelium for the future. The big morels are drier and, in my opinion, a bit past their prime. They’re not as perfectly fresh and dense as they are when they’re a bit smaller. 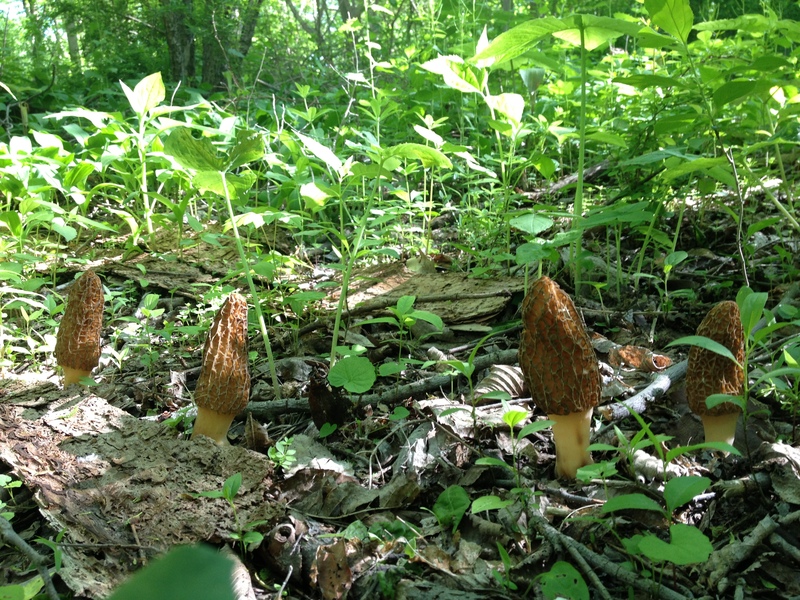 For sauteeing with a steak, or popping into a risotto, I prefer early-season morels. However, the late-season giants are great for dehydrating, and also work well coated with cracker crumbs or panko and fried. This particular haul was immediately cleaned and dried. I’m going to send them off to my brother, who lives in Arizona, and who hasn’t seen a Midwest morel for a long time. While things are about spent here in Illinois, I’m going to take a look around some woods up in Wisconsin, where I keep my retired horse, tomorrow. Then that should be it for a few weeks. Next up are chicken of the woods and oysters, which I’ve never found in the summer but I’m told are relatively common. We’ll see! This entry was posted in Uncategorized and tagged morel mushrooms 2013. Bookmark the permalink. Just found your blog! Much fun to read! I live in Cary, Il and am an avid once a year Morel hunter. 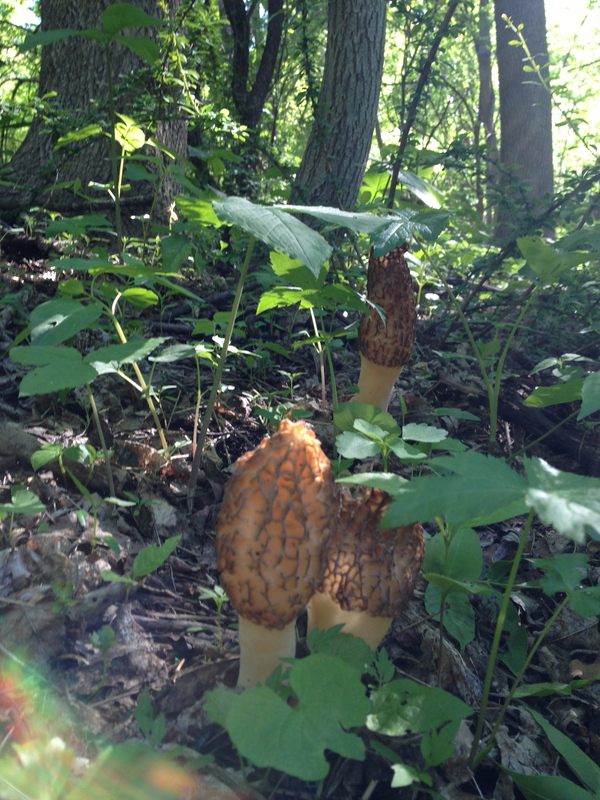 If I could figure out how I would send a pic of the Morels I found on May 28th!